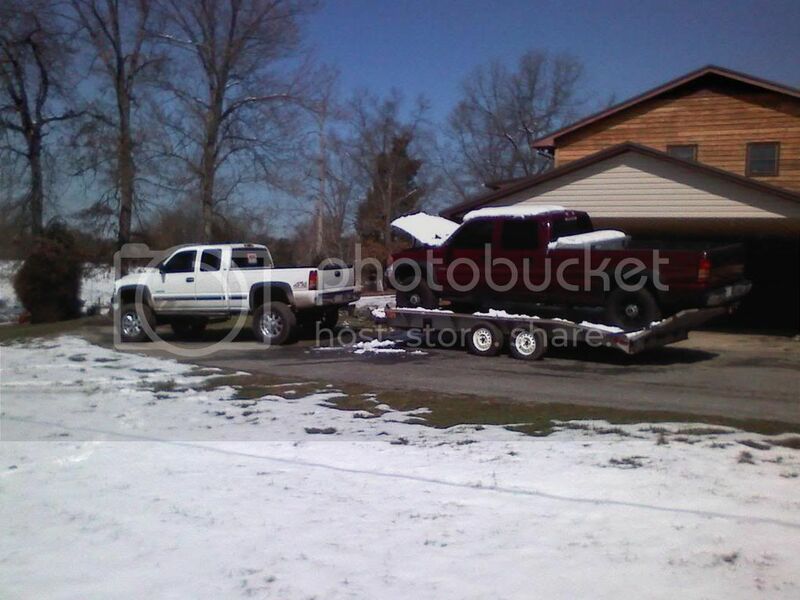 Lets see pics of your truck hauling!! 69 K/30 dump...with 5,280 of gravel.. 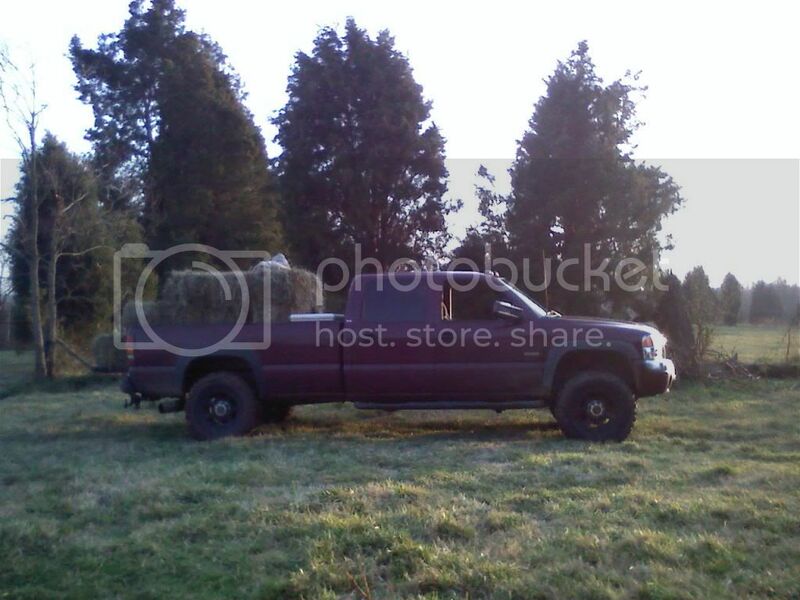 It will get a new paint job in the spring..it deserves it. Last edited by 70BLAZERX2; 12-22-2010 at 02:55 PM. First trip for my new 3/4 ton to get the pickup camper that my Father bought new in 1969. My plans were to restore the camper and the 3/4 ton pickup my Father also bought new in 1969 but on my way to get the camper on the first try a lady ran a red light doing around 50 mph and destroyed the truck my Father had bought new. It took over a year and a half to find a truck as close to my Fathers as possible and this was the first drive/trip since I got it running. 165 miles round trip with zero problems. 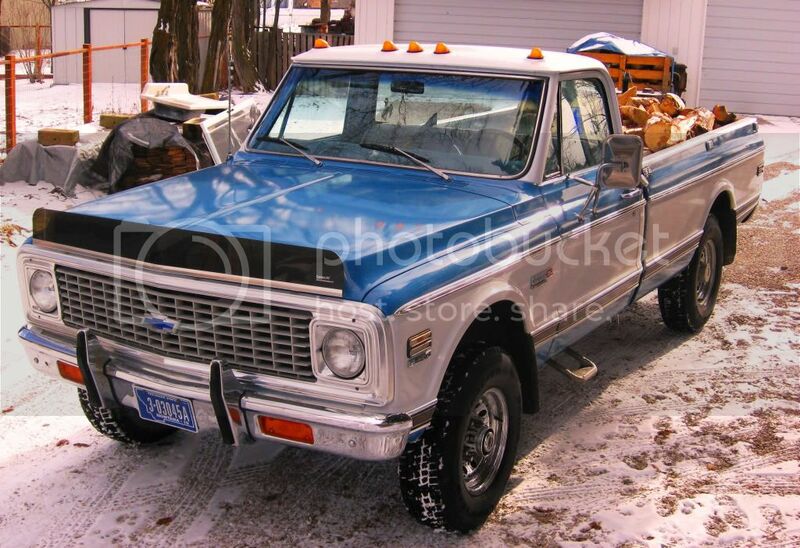 The original truck my Father bought new in 1969. Now sitting in my shop and everytime I look at it I keep thinking It's not that bad I can fix it. Last edited by WFAPS; 12-22-2010 at 03:50 PM. 67-72 Gathering of the Goofs meet this past spring. 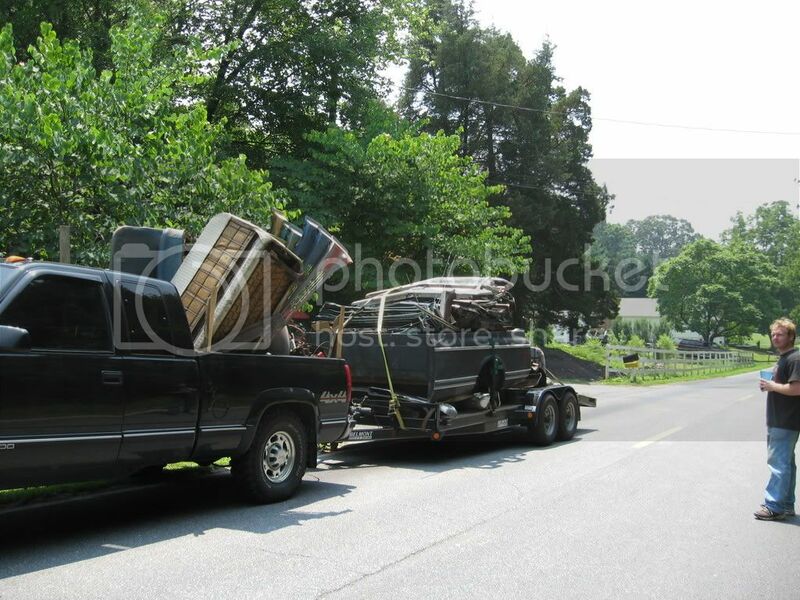 And people said I was crazy for having multiple 3/4-1ton trucks, comes in handy every now and then. 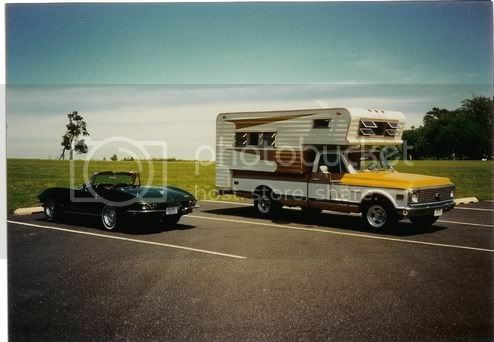 Nice camper, sorry about your dads truck, hope everybody was OK.
Nice Demco car trailer! I dream of having one of those some day! 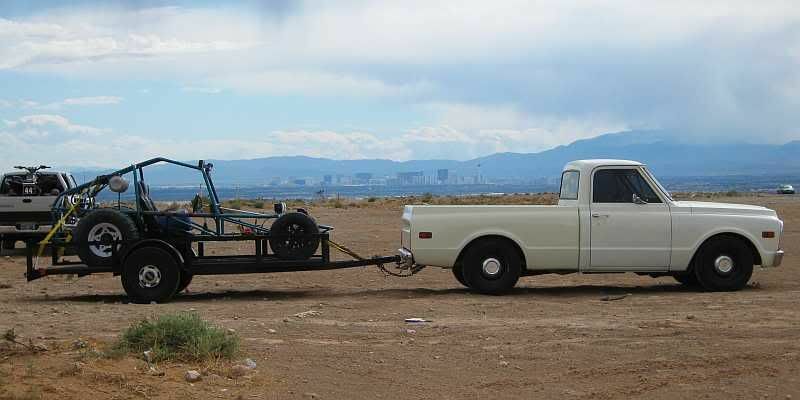 Great pictures, I really like to see these old trucks do what they were made to do. '67 Chevy C-20 short stepper - build complete, 454/SM-465. 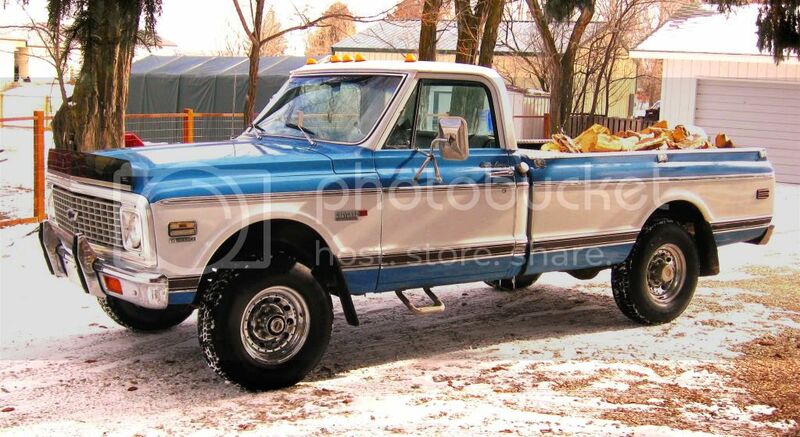 '75 C-30 Single Cab DRW-350 small block/NP-435. '77 GMC-6500 Dump Truck, 427 Tall Deck. '92 GMC K-3500 Duallie, 454/4L80E. Get your facts first, and then you can distort them as much as you please!!!!!. 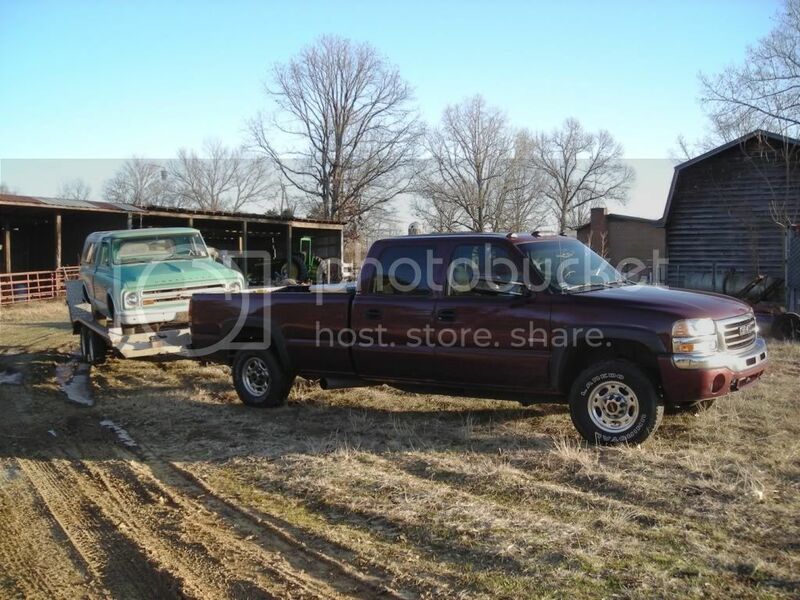 and a 88 C3500 2wd 454/400 dana60 rear ex cab longbed..
Is this beauty in Powell? I would love to come check it out sometime! A DAY IN THE MOUNTAINS IS BETTER THAN A MONTH IN TOWN. Wow, doesn't get much better than that! 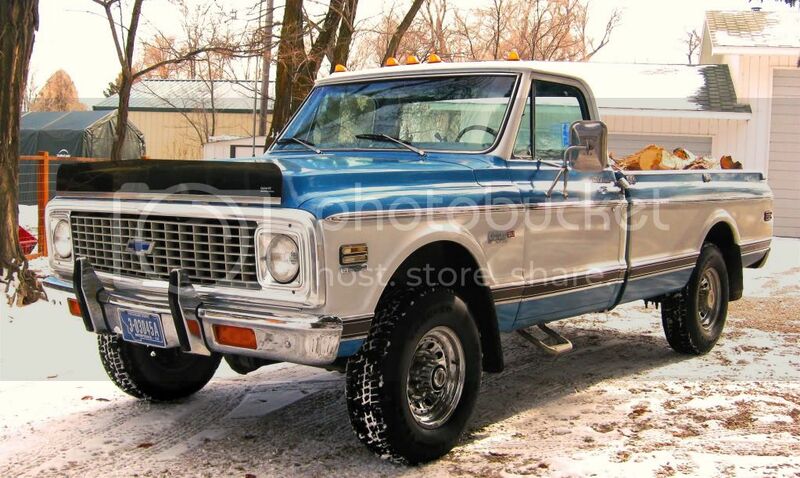 3/4, 4x4, blue on white, Super cheyenne, cab lights, etc!! Please tell me you have a build thread. 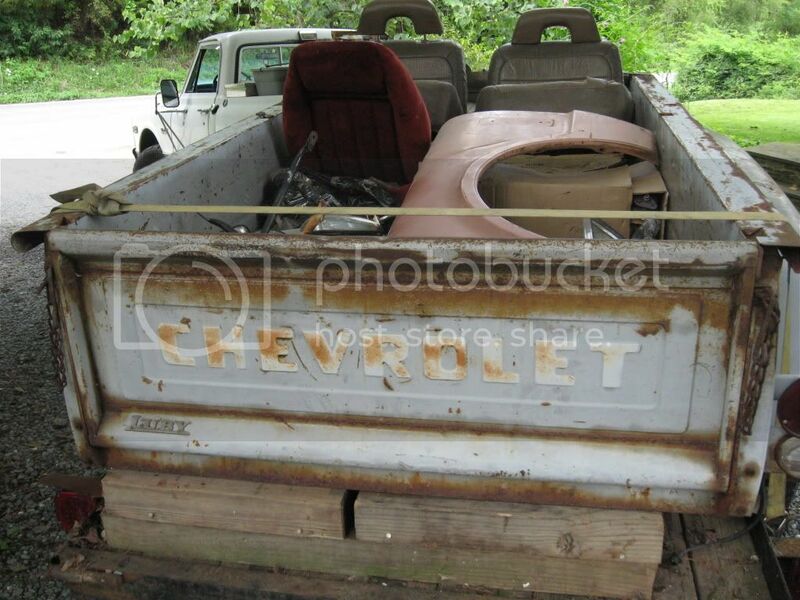 @special-K, you restoring a truck or building one from scratch?? 69 Chevy CST/10 "Project: Bloody Knuckles" my slow going project. How come you're selling this beautiful truck? '68 Dodge Dart 270, 225, 904, 2.76--"Lucy"
I bought my C10 69 on march 2006 and I said that I wanted a truck for when I was needing hauling anything. 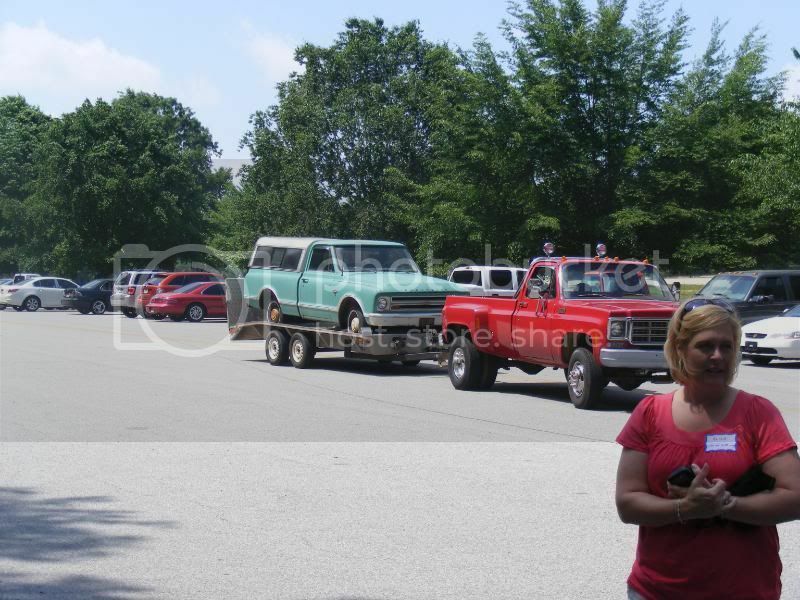 I did not know what I bought, days later a coworker who had a Ford 56 told me that many people take this trucks like projects and I began to read magazines and forums and then I said I don't want any kind of trash in my truck and look at this picture. I don't know how long I'm going to keep it but I like it. Thanks for all the pics everyone. I have another contribution, the 351 v6 equipped C2500 hauling a load of spruce limbs in the yard.